This inner-city sanctuary, set on Melbourne’s Iconic Swanson Street serves as the idyllic blank canvas for an urban inspired celebration. Welcoming guests to a sweeping marble staircase, elegant fixtures and an abundance of natural light, State Library is an unsurpassable venue with overwhelming historical charm. With the greatly anticipated opening of Ian Potter Queen’s Hall this Spring, we’ve taken a moment to revisit all that inspires us about the incredible State Library venues. The Isabella Fraser room, a space boasting grand windows spanning the length of the space, lends itself to extravagant styling potential and neutral colour schemes. Intimately named after the Libraries first female employee, this space is clean, classic and unassuming. The Isabella Fraser room is perfectly polished with high-ceilings and ornate finishes, while North Rotunda offers a quaint alternative to the grander venues of the State Library. Nestled amongst historic artworks, this recently restored room is classic and sophisticated. Minimalistically adorned with 19th Century art pieces North Rotunda offers couples the perfect setting for pre-reception cocktails and canapés, or intimate formal dining. Stepping into The Ian Potter Queen’s Hall is overwhelmingly ambient and potentially one of the most enticing rooms of the State Library. Flooded with natural light and oozing opulence, this state of the art venue space is everything you could envision when planning a State Library wedding. Entering through the sweeping marble staircase, your eyes are enticed by many decedent elements, from the incredibly detailed high ceilings to the bold columns or the charming timber flooring, The Ian Potter Queen’s Hall is not one to be missed. 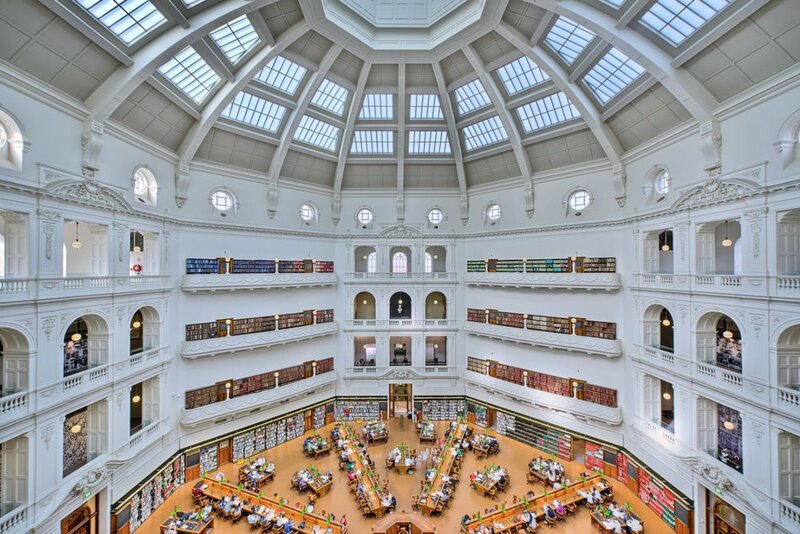 For the wedding of epic proportions, the La Trobe Reading Room is the State Library’s largest wedding space. Centrally positioned beneath the original dome, soaring 35 meters above, this magnificent space lends itself to an iconically extravagant celebration, rich with meaningful history. Styled with hardwood furniture and brimming with vintage literature, the La Trobe Reading Room begs for extravagant wild floral arrangements and brass styling accents. 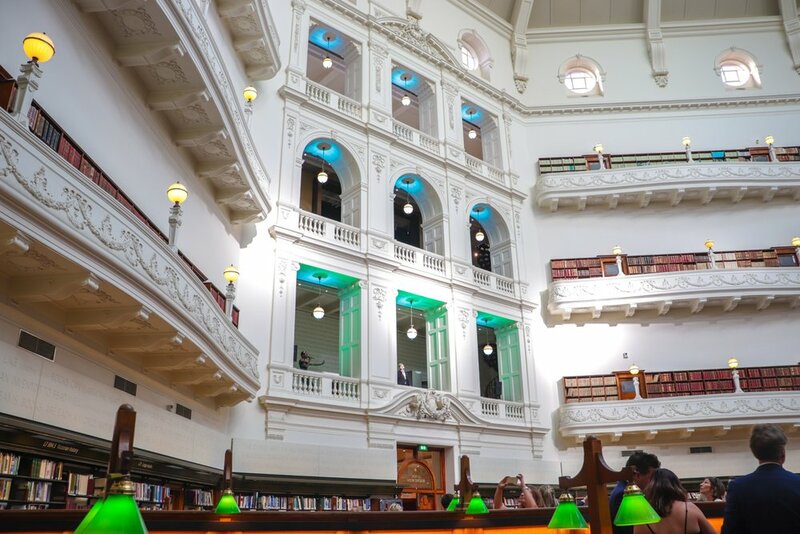 From intimately authentic weddings to events hosting up to 500 guests, Australia’s most historic public library has an option for all. State Library along with Showtime Events Group will undeniably execute a memorable and perfectly polished event, within one of their unsurpassable and utterly beautiful venue spaces. For more information about holding your wedding at State Library Victoria, get in touch with the team at Showtime Event Group.